Baroque period, and cover a remarkable range: full-scale Italian operas and English oratorios (including Messiah), but also shorter works such as the Water Music and the Coronation Anthem Zadok the Priest. His compositional processes were often complex, but could result in accessible and memorable 'hit tunes', such as the aria that subsequently became famous as 'Handel's Largo'.His life and career were as remarkable as his music. Born in Germany to a family that reputedly tried to discourage his initial interest in music, he broke away to seek his fortune in Italian opera, and proceeded to gain first-hand experience of the latest Italian styles in Rome, Florence, Venice and Naples. A series of career moves brought him via Hanover to London, where he eventually settled and dominated the city's musical life for half a century. There he quickly made his mark in English church music as well as Italian opera, and eventually created two new musical genres--English theatre oratorio and the organ concerto.Handel is important also because, as a musician, he also became a significant public figure. In Rome he attracted the patronage of princes and cardinals; soon after his arrival in London he appeared at the court of Queen Anne, and he subsequently enjoyed substantial support from the "Hanoverian" royal family. He survived turbulent periods in the musical and political life of London, reached a wider public through publications of his music, died a rich man and was buried in Westminster Abbey. This biography provides a comprehensive and balanced account of both the man and his music, drawing on the unusually rich legacy of documentary and musical sources from Handel's lifetime. 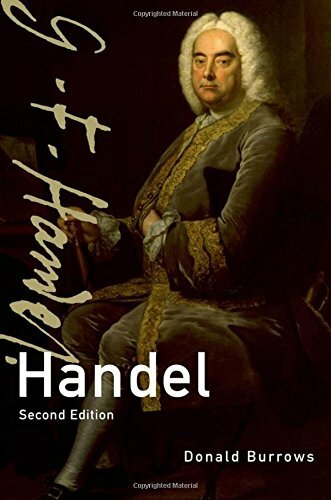 This new edition of a book that has been recognized as a 'classic' biography of Handel, reliable on the factual details of the composer's life and comprehensive in the coverage of his music, incorporates a great deal of new material. The last half century has seen a great renewal of research on the circumstances of Handel's life, and a major expansion in performances and recordings of his music. The book brings together the results of this scholarly activity, and is informed by wide experience of modern performances of Handel's music, including the revival of his operas and experimentation with 'authentic' performance practices.